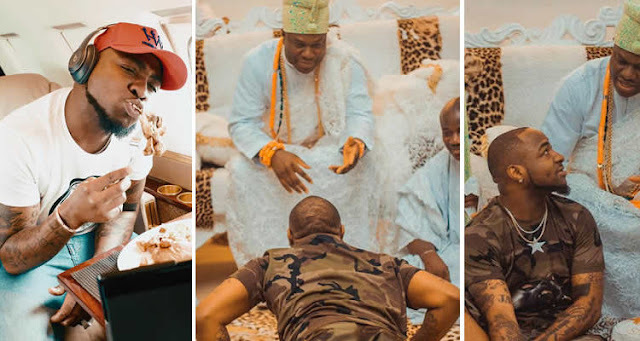 Davido goes flat on the ground as he pays Ooni of Ife a courtesy visit. Popular Singer, Davido, who recently won ‘Best International Act’ award at the BET Awards in US, who also hails from Osun state, paid the Ooni of Ife, Oba Adeyeye Ogunwusi, a courtesy visit yesterday. Davido prostrated as he paid homage to the monarch. See photos below.